This is a light yellow emulsion that contains water lily extracts, avocado oil, ceramide, and bambusae caulis. It aids in cells regrowth, provides deep skin hydration, increases firmness and improves the texture of your skin. 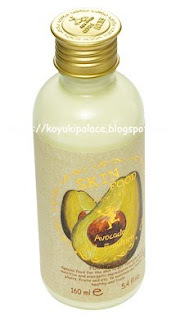 Avocado is well known for deep hydration and firming. 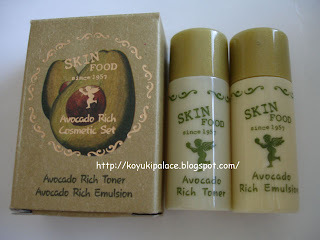 The avocado emulsion smells like berry with absolutely no avocado smell. Perhaps the series is for dry skin, moisture level is high and yet non-greasy and refreshing. Since my T-zone is dehydrated, using this product supplies more water moisture to my skin.